Calling all domestic divas (and dudes)! 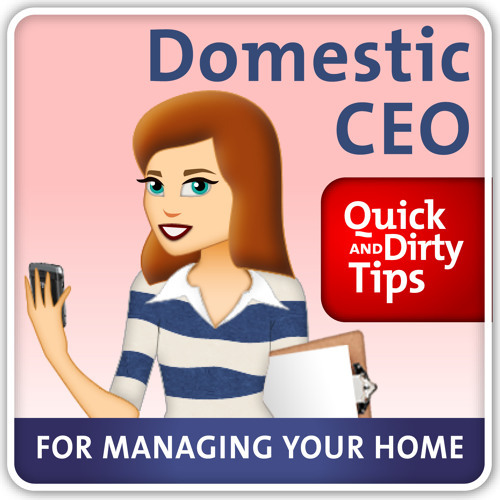 Whether you are an experienced home manager, or living on your own for the first time, the Domestic CEO has easy tips on keeping your home in tip-top shape. What’s the best way to manage household chores? How to decorate your home on a budget? How to keep a playroom organized? Is there a simple way to get rid of wine stains? The Domestic CEO will answer these, and many other questions – plus give you tons of expert insights and advice on making your home the best it can be. Before becoming a domestic expert, Amanda Thomas worked in corporate America, where she learned the importance of systems and routines. She also met a lot of folks who were frustrated with their home life, and quickly realized it was because their homes lacked the very same systems and routines that made their jobs function so efficiently. So in 2007, Amanda started Moxie Girl Household Assistants as a way to help families create organized, clean, well-functioning homes. She is thrilled to bring the lessons she and her clients have learned over the years to the Quick and Dirty Tips family and help others create the homes, and lives, of their dreams.